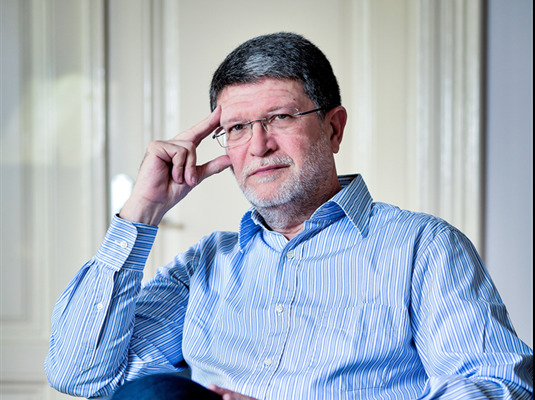 MEP Tonino Picula, speaks about his European activities, Croatian future in the EU and situation in his party,SDP, in an interview for the Voice of Slavonia (Glas Slavonije). To what extent has Croatia so far taken advantage of the opportunities of our accession to the EU, both financially and those concerning a greater impact on solving certain issues? For example, I would really like to say that Croatia used its good geographical position better for political positioning because our country, is the only one connecting the Danube with the Mediterranean. Croatia, however, is among smaller EU Members concerning territory (20), size of the population (21), GDP (21) and especially GDP per capita (26) and we have to understand that we need to think strategically about our position in the EU. European regional and cohesion policies for the period 2014-2020 have 351 billion EUR available - that is 36% of the total EU budget. For Croatia, the amount of 8.61 billion EUR is foreseen for the same budgetary period, which represents slightly more than half of an entire annual budget of the Republic Croatia, therefore only from one EU fund. Just for comparison, Bulgaria (twice as big by population) can count on 7.59 billion for the same period, developed country France only 15.85 billion and UK 11.84 billion, while the highest amount goes to Poland - 77.57 billion. Also, according to the European Commission's data, in the current EU budgetary perspective for the period 2014-2020, Croatia is sixth in the EU when it comes to EU funds per capita. However, according to the disbursed funds, Croatia is 22 among EU28 States and 25 for approved funds for payment. When it comes to development, according to HGK analysis, in mid-2013 Croatia was at 61% of the European average, and today it is three points lower on the scale. The analysis also showed that on the unemployment rate, Croatia is the second worst Member and the third worst at the rate of activity and employment, which we certainly have to work on. Therefore we have to maximize the utilization of funds to enable all Croatian citizens to feel the direct benefit of EU membership. For Croatia's future in the EU, the question of its further enlargement to our neighborhood is very important. In addition, making Croatia better positioned within the core of the European project change, it will have our influence and strength inside, but then beyond, the EU. It is clear that the burden of change lies not only on European institutions, but we must demand that domestic politics, at all levels, carries out its, equally important, part of the work. Considering you were born on Mali Lošinj, it is no surprise that the islands were one of the areas of your special interest in the European Parliament. What does the formation of the Secretariat for islands, for which you have particularly worked, mean for Croatian islands? Croatian islands got a unique contact point to which they can turn to at any time, even if they are at the very beginning of their energy transition. On the other hand, the Secretariat is at the same time assisting the Commission in adapting the existing policies and funds for energy on the islands, so this is an indirect but also a long-term assistance for the islands and serves for a better understanding of their needs. Delegation from the European Commission's Energy Directorate came in June to a first working visit to the Croatian islands to get acquainted with energy projects funded by the EU, with islanders plans for energy self-sustainability but also to gather information on specific problems Croatian islands face. Over the next two years, the Secretariat for Islands has the task of directly assisting all, as well as Croatian ones, to make plans for transition to renewable energy sources and sustainable development, and there already exists a fund of 12 million euros for the following. Read the whole interview at the link. As your MEP, I can ask the European Commission about various topics and I can do it on your behalf. "Do what you can, with what you have, where you are"
"Those against every reform is a coward and those for every of it is an adventurer"
"I believe the principle that politics, regardless of it's best intentions, has no right to change people but change the conditions in which they live, for the best"
"In my Europe, Croatian producers have my support and their products access to customers"